Padgett Powell, author of the acclaimed The Interrogative Mood and "one of the few truly important American writers of our time" (Sam Lipsyte), returns with a hilarious Southern send-up of Samuel Beckett's classic Waiting for Godot. Truly a master of envelope-pushing, post-postmodern American fiction, in a class with Nicholas Baker and Lydia Davis, Powell brilliantly blends the sublime, the trivial, and the oddball in You & Me, as two loquacious gents on a porch discuss all manner of subjects, from the mundane to the spiritual to the downright ridiculous. At once outrageously funny and profound, You & Me is yet another brilliant, boundary-bursting masterwork, proving once again that, "there are few writers who understand both the beauty and the absurdity of language as well as Padgett Powell" (Kevin Wilson, author of The Family Fang) and that, "Padgett Powell is one of the best writers in America, and one of the funniest, too" (Ian Frazier). Samuel Beckett, Endgame and Act without Words. Samuel Beckett is currently considered a "single author." If one or more works are by a distinct, homonymous authors, go ahead and split the author. 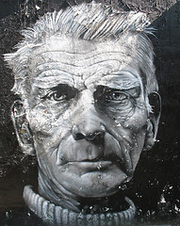 Samuel Beckett is composed of 13 names. You can examine and separate out names.